A business plan can be an invaluable management tool, if it is well prepared, reviewed, and updated on a regular basis. It can serve as a map for making the daily decisions with which a growing business contends. Financial backers, venture capitalists, private investors and even bankers seek business plans as the first step toward investment decisions. While you could write a book on strategic planning, and many have, below are some questions that should be answered in a basic strategic plan. However, our experience is that building a strategic plan around one of the three basic value propositions will help focus your energy and resources in the right direction. Each value proposition is unique with regard to its driving force and success factors. But the questions below are a good starting point for a basic plan. In a future article we will discuss more about each specific value proposition. 1) What business are you in? 2) What are your products and/or services? 3) What benefits do your products and/or services provide to your customers? 4) Why are you uniquely qualified to be in this business? 5) How you are distinctive from your competition? 6) What is the present stage of the company (start-up, initial growth, rapid growth, maturity, etc)? 7) What are your company's weaknesses and threats? 1) Why is the CEO qualified to lead the company? 2) Do the strengths and experience of the management team match the goals and strategies of the business? 3) If your management team is not yet complete, what is your action plan to add the necessary talent? 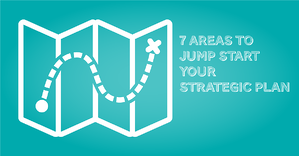 4) How will you find the human resources you need to implement your strategy? 5) Are your compensation and benefits competitive enough to attract and retain the right human resources? 6) How will you address the ongoing development needs of your workforce? 1) In which industry or industries do you operate? 2) How are these industries changing? 3) What changes will affect the need for your product or service? 4) What is your specific target market(s) within your industry? 5) What market changes may affect customers' ability to afford your product or service? 6) What is the size and geographic spread of your market(s)? 7) Which companies make up your competition? 8) What are the key factors motivating customers to buy your product or service? 9) How is your product or service differentiated from your competitors? 10) Is your market price sensitive? 1) What are the key milestones in the research and development process? 2) What are costs to complete the development of the current product? 4) structure as the industry, competitive or substitute products, and customer needs change? 5) How much are you spending on research and development? 6) How do you select new products for research and development? 7) Do you have intellectual property? 8) How much manufacturing space is needed? 9) What type of capital equipment is required? 10) What impact will changing technology have on equipment needs? 11) Are any parts or supplies difficult to get, or require long-lead times? 1)How are you positioning your product or service? 2) What are the key messages that you want to convey in your marketing materials? 3) What types of marketing media will you use to promote your product or service? 4) What is your marketing plan? 5) How much will you spend? 6) What distribution channels are you using and what selling methods are appropriate for each channel? 7) Do you need your own sales force? 1) Have you carefully analyzed your financial statements to explain results to investors and form the foundation for projections? 2) Are assumptions consistent with the results of market analysis and the other sections of the business plan? 3) What form of investment are you seeking? 4) How will you use the funds obtained? 5) What is the exit/payback strategy for lenders and investors? Answering those questions will get you a solid start on a strategic plan. As a business owner, you will greatly benefit from the focus and clarity a proper strategic plan can provide. And especially when you have employees, a solid strategic plan will help your employees understand your business objectives and how their daily actions contribute to it. So if you don’t already have one, let’s get to it. Also, once you have drafted one up, discuss it with your CPA or business advisors. They can help provide insights that may help you clarify your plan. If you have any questions on crafting a strategic plan for your business, comment below or contact us. David Knecht, CPA, CVA, MAcc, is a founding partner of Milam, Knecht & Warner, LLP. He regularly speaks and publishes articles on tax and business valuation.